Launched by Carzonrent this is a self-drive car sharing service in India which offers services like car sharing and car rental and is serving number of areas that includes Delhi, Mumbai, Pune, Noida, Gurgaon, Bangalore, Chennai, Hyderabad, Ahmadabad, Ghaziabad, Goa, Mysore, Mangalore, Bhubaneswar, Jaipur, Udaipur, Chandigarh, Amritsar and more. You can choose more than 38+ car models and 250+ pick up locations. This online store which gives you a chance to drive your desired car and is loved by many for its unique features. Planning to bring 50,000 cars in 50 cities over 5000 locations it is going to be a big name. This self-drive service proves to be the best service for long distance travel. You can own your car no matter the number of days; it can be days, week or month and it also offer Rs500 off on your first ride. For more discounts, you may grab its ongoing deals and offers and save your money with it exclusive offers. 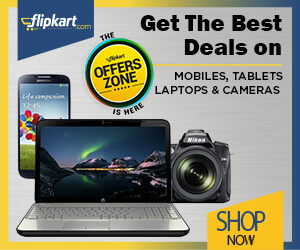 Now avail flat Rs.1000 off on spends minimum Rs.6000. Enter the given voucher code at final payment. Coupon code is valid for all cities and car models. Book online and enjoy flat Rs.1000 discount when you spend minimum Rs.6000. Enter the given coupon code at final payment. Offer is applicable to daily packages. Enjoy flat 20% discount on Myles Self Drive when payment is done via ICICI Bank Credit & Debit Cards. Use the given promo code at final payment. Offer is applicable only for Daily bookings. Book a cab online and get flat 20% discount. Offer is applicable on a minimum spend of Rs.4,000. Maximum discount that can be availed is up to Rs.1500. Grab the given coupon code to redeem this offer. Offer is valid for weekday bookings only. Exciting road travel with cars : Road trips can be fun and exhilarating irrespective of the destination. You can now drive around in your favorite car and embark on a road trip in the easiest possible manner with Myles cars. This unique car hire service allows you to hire a car of your choice and drive to various cities in India as you explore different destinations. Be it the mountains or the seas or the forests, you can head to all in a matter of minutes by booking a car from here. You can enjoy thrilling rides by being at the wheel and feed the traveler’s soul in you. You can book a car for all your road trips in a few simple steps. After you have downloaded the app on your phone, you next need to find the nearest Myles location. Second step is to choose a car of your choice. Now you book your car and pay the security deposit which is refundable. You can also choose to opt for the Loss Damage Waiver by paying minimum amounts instead. You can also book through a call instead of booking online. Economy is something we all look for in every facet of life including travels. If you are planning to go on a road trip in a self-driven car from Myles, you can use online coupons to save money as you enjoy more on every trip road journey that you make. Here is how you can use these Myles Cars Coupons. First you need to have a coupon. You can look for online coupons on search engines, coupon sites or check out the offers at Myles.com itself. Once you have picked the offer you want, you simply have to click on it to activate it. You will now be redirected to the site where you will have to make your final payment. You will have to paste the promo code at this stage while checking out to get the offer. Also look for Myles Car cash back offers, cabs offers on all your bookings to make additional savings on your road trip. Hiring a car from Myles allows you to save money on every trip because of their wonderful offers. You can drive to your destination all within your pre-planned budget with any of these offers and deals. You get a flat off on your very first ridefor which you can use Myles first time user code or even get special offers for weekday bookings. Apart from this you also have online coupons that give varying discounts depending upon the type of booking. This is a very unique service that has come up in India. It is one of the pioneers in the country that offers this kind of services to those who are passionate about driving around themselves. Here are a few highlights about this novel service. Wide variety of cars: There are more than 38 different models of cars that you can choose from depending upon your own preferences and liking. Every car is well maintained and ensures complete safety as well as comfort. They have a wide fleet comprising sedans, hatchbacks, electric cars, luxury cars, sedans, SUVs, MUVs, etc. from brands like Ford, Mahindra, Mercedes, Maruti, Nissan, Honda, Toyota, Chevrolet, Hyundai, Volkswagen, etc. Drive to your favorite city: With a hired car from this service, you can drive to more than 21 cities of the country and get various Myles Car offers. The car hire brand has a presence in major cities like Bangalore, Hyderabad, Ahmedabad, Gurgaon, Mumbai, Ghaziabad, Mysore, Delhi, Pune, Jaipur, Chennai, Vishakhapatnam, Noida, Amritsar, Mangalore and many more. Numerous pickup locations: You can hire a Myles car from more than 250 locations across India. So it does not really matter where you stay, you can easily book a car and start your journey from any of these locations. All you need to do is choose your car and get it right at your doorstep. Easy booking and cancellation: You can book a car or cancel your booking with great ease. The company has a convenient process that ensures hassle free processes no matter what you wish to do. You can also check out Myles Car credit card offers for some good discounts. FREE Fuel: This is a major advantage that you can get when you hire a car from here. You can get free fuel if you along with the car when you book one and save good money. Book for unlimited duration: You can hire a car for hours, days, weeks or even months according to your requirement. Affordable prices: Hiring self-driven cars is much affordable as compared to hiring cabs. You can save up to 50% of the fare by choosing to drive yourself and that too in your favorite vehicle and pay as less as Rs. 100.00 per hour for a hatchback car. Flexible payment options: When you hire cars from this service, you have the option to pay with credit as well as debit cards. However, you may have to pay an extra fine for late returns or sudden cancellations. It is also advisable to read terms and conditions to protect against damages or accidents. Driving to various destinations and exploring them can be great fun especially in self-driven cars. You can have friends and family for company or even go ahead all by yourself if you are bitten by the travel bug. However, be careful and cautious while you are at the wheels, do follow traffic rules and make memorable trips.